Marchionne: "It's been a very hard job to get all the pieces of the mosaic together." GENEVA (Bloomberg) -- Fiat CEO Sergio Marchionne predicted first-quarter earnings will rise amid ''strong'' industrywide demand this month for Chrysler in the United States. Business in the U.S. is going well, while the Brazilian market is ''choppy,'' Marchionne told reporters Thursday in Geneva. European losses are likely to narrow this year, even with extra investment in new models, he said. Fiat bought full control of Chrysler in January as part of Marchionne's strategy to merge the two regional players into a manufacturer with the scale to challenge the likes of General Motors Co. and Volkswagen in global auto sales. Turin-based Fiat's first-quarter 2013 earnings before interest, taxes and one-time items totaled 618 million euros ($860 million). 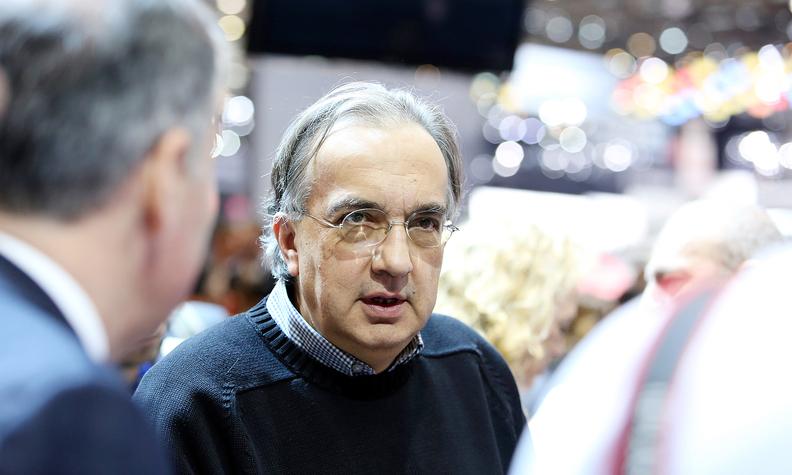 Earnings on that basis, called trading profit, "should be higher," Marchionne said. "My gut feeling is, we're going in the right direction." Marchionne forecast Thursday that deliveries by the combined company, which will eventually be named Fiat Chrysler Automobiles upon shareholder approval, may reach 5 million vehicles in 2016. That compares with a goal outlined by Volkswagen of selling more than 10 million cars and trucks in 2014. The CEO is scheduled to publish a business plan May 6 providing details on new models and financing once the merger with Chrysler is completed later this year. "It's been a very hard job to get all the pieces of the mosaic together and have a global view in the end," Marchionne said. "You'll finally get to see what I've had in mind in May."